Limited edition with free printing. 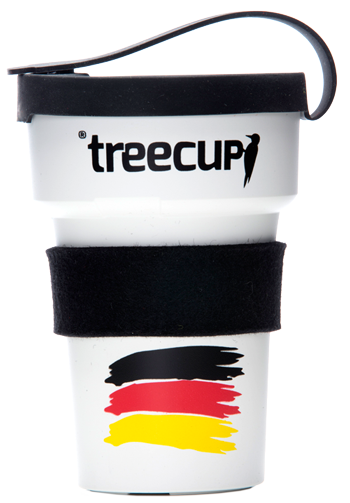 The ®treecups 400 are made from renewable resources and naturally occurring minerals. They are absolutely scratch and shock resistant, can be practically stacked in one another and can be individually printed – as a perfect advertising space. With their thick walls, they are also extremely resistant to heat and cold and can be used for both hot and cold drinks. Kid’s Cups by Nowaste® are an innovative and unique product and Made in Germany. With our biodegradable, pollution-free and climate-neutral reusable cup Kid’s Cup, your children can now also environmentally conscious and enjoy a good conscience your drinks. Looking for adding something to your treecup? 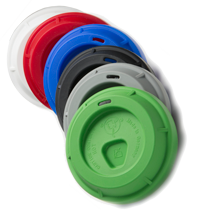 Matching silicon lids for your ®treecup 400 are available in many different colors. Heat protection sleeves made of natural wool feltavailable in many different colors. Heat protection sleeves made of natural wool felt available in many different colors.